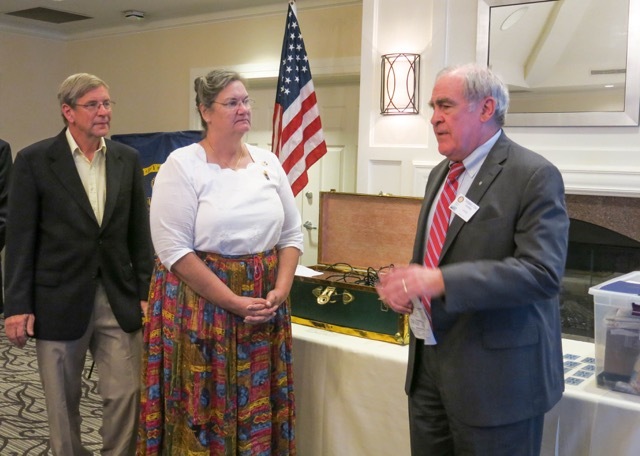 Welcome new member Lynde Scheffer, transfered from the Ashburn Rotary Club. Classification-International Youth Exchange. 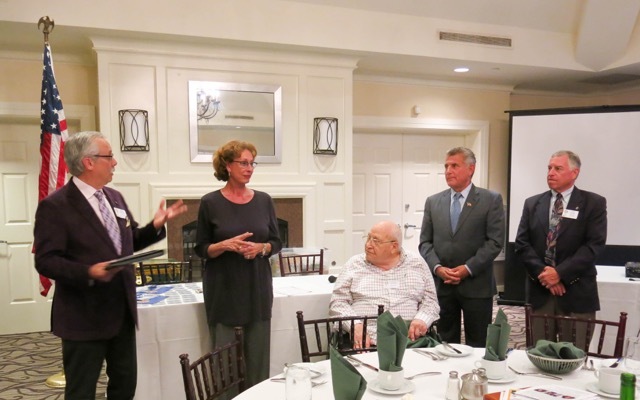 Welcome new member Maryse Wsrer-Pratte (2nd from left), classification; community volunteer, sponsored by Stanley Calukins and Rob Guerra (4th from left), classification; Federal Contracting Consultant, sponsored by Ron Rogos.